WTS: Thompson NY L-Drum. From The 1920s. As Pictured in the Hill Book on Page 333 Figure 336. "nichol" Rotor. Nice Original Condition. thanks, Eric. Is this nice drum a 3d Gen drum, and 800-1000 too much? Hopefully I'm learning something, and not a total drum dunce. 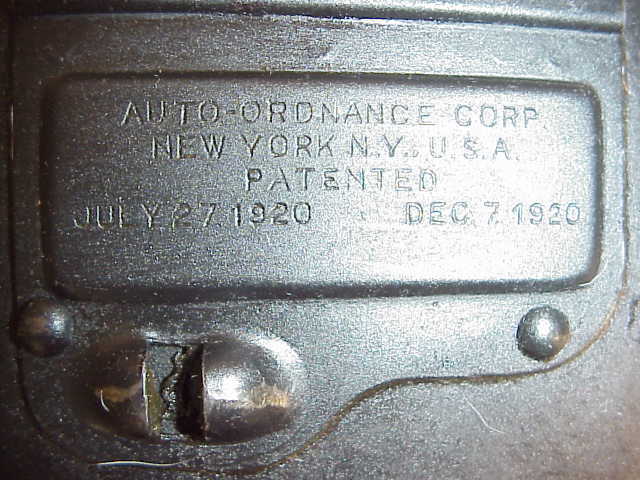 The original Colt drums are higher priced than the later Worcester manufactured "New York" drums. I think your post is asking if $800.00 - $1,000.00 is too much for this drum, or are you going to offer that amount to the seller? I think the price ($2265.00) is a little high for a 3rd generation Colt drum, but I'm sure some people are paying that much. I doubt you could find a Worcester anymore for $800.00 - $1,000.00 unless the seller doesn't know much about the various drum models. Obtaining Richardson's drum book, as several members have suggested earlier, would really assist you in getting a better understanding of what you are looking for. Such drums were selling at the SAR show for around $1500 if that is of any interest. That was the asking price at the SAR show - and the reason I didnt come home with one. I had purchased a 3 model drum just prior to the show for $800. I am not saying the drum will not bring over a thousand - by the time I get this typed the price may have gone over that amount. Its hard to account for the price increase of thompson items. I should have said that the asking price was $1500, although I did see one guy who had picked up a very nice 3rd generation colt drum with a Russco pouch for $1500. I was very happy with my drum purchase! The thompson interest is wide - the collector wants to purchase items for his or her collection, and price is driven by the lack of good items to purchase. The shooter - in some cases the owner of 27 semi's are not as interested in the model number of a drum or if a cleaning kit is original, only the price the seller asking. And it appears this group takes the position they are being ripped off due to the high asking price. Up until now the shooter or 27 owner could purchase a WH drum at $500 - 600 plus, and a GI drum for around $900 - 1000. The drum prices just kept going up due to the collector willing to pay more than the shooter which removes the good drums from the market. There are just so many good clean drums out there. The WH sellers found a market place and started getting their asking price for the L & C WH drums. It appears one market just kept feeding off the other. WH drums answered the need for the shooter drum and the sellers asked as much for the WH as the sellers of the GI and earler drums. I think the colt drums were not ID'd by the seller / owners at first - then discovered thanks to Richardson book and this site as Colt early drums, and up went the price. I have been able, as some of you to purchase Colt drums from seller / owners who didn't know what they had. The article in the Thompson news which reflects at least 3 types of "U" drums will only raise the price as collectors attempt to obtain all 3 or more types. Anytime more types or style or models are ID'd the more someone is willing to pay to complete a collection. The articles on this site about the "reprint" catalogs will not lower the price of "reprint" catalogs - there will always be someone wanting to have one of each, so up goes the price.. The more knowledge is gained, the more the price will climb. I remember when I felt $900. was too much for a Patterson as passed up the purchase. Unlike some, I don't think we will see a "crash" in the Colt prices - I have seen 60 + years in the gun market and have been told many times the price will come down. A Colt thompson is not unlike a fine piece of art - It has a collector value which will follow a market. Shooters have a hard time accepting this fact. There were only so many guns made, even if all of the Colt thompsons which are out of country could be retuned to the U.S. there would be little difference in price, if any! Under the same conditions, if all of the GI thompsons could be returned, the price would drop like a rock. The Colts would see no change in value as they are collected because they are Colts. The same thing go for the drum prices. Colt drum prices are stable, GI drums could go down - just like WH drums are going down at the present. What is too high? You can only wait until tomorrow to tell if the item was too high yesterday.